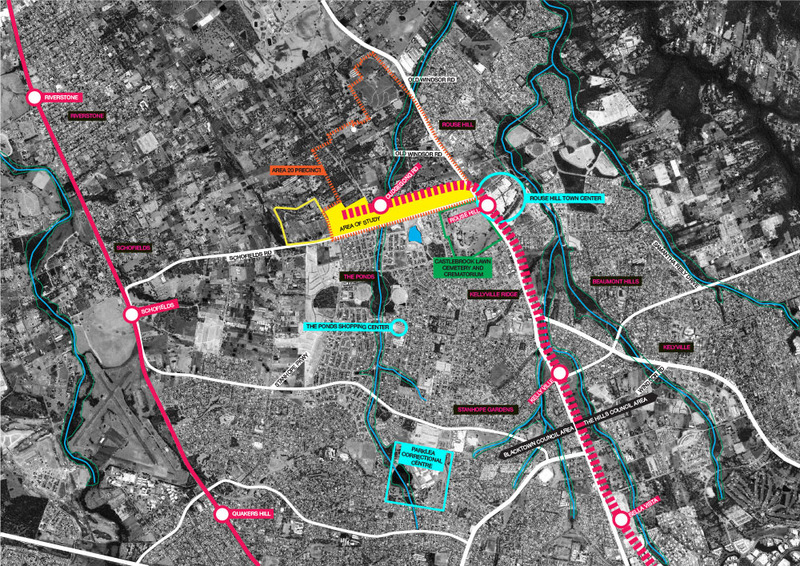 The new Northwest Metro project has the potential to transform a low density, car-dependent region of Sydney with the introduction of eight metro stations supporting a series of town centres that will be developed over time to realise the benefits of mass rapid transit. 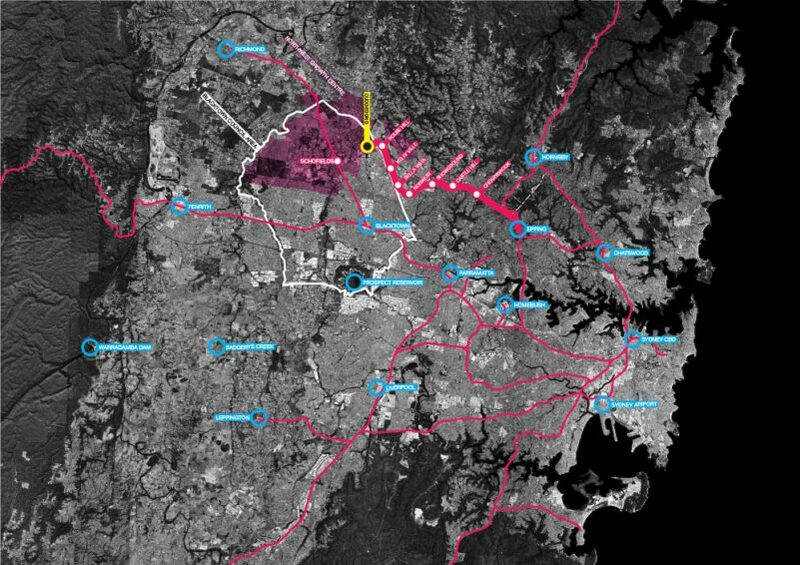 Cudgegong will form the last stop on the new metro linking the northwest region of Sydney to the existing rail network. The existing character of the site is the most rural of the proposed town centres with a mix of woodlands, small scale agriculture and low density suburban housing. 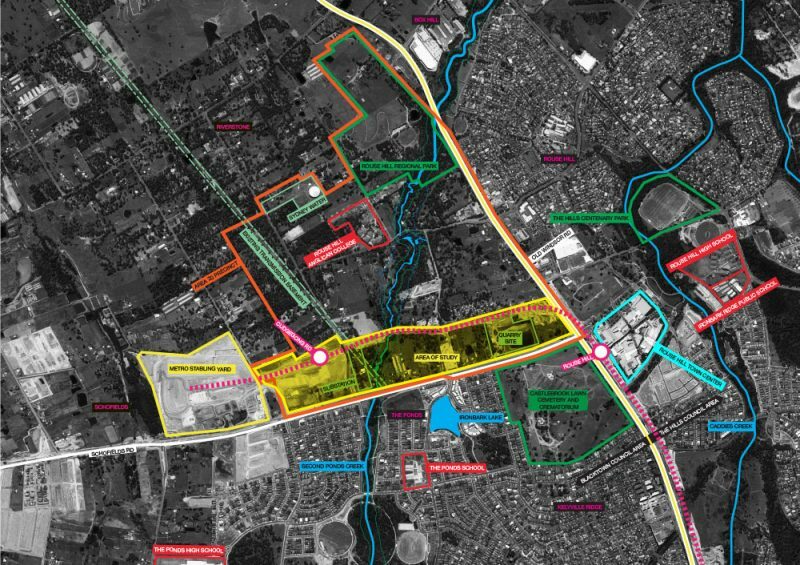 Bennett and Trimble have been engaged by Urban Growth, the state government agency and master developer for the site, to develop a concept plan for the town centre that will demonstrate best practice urban design and act as an exemplar for development. 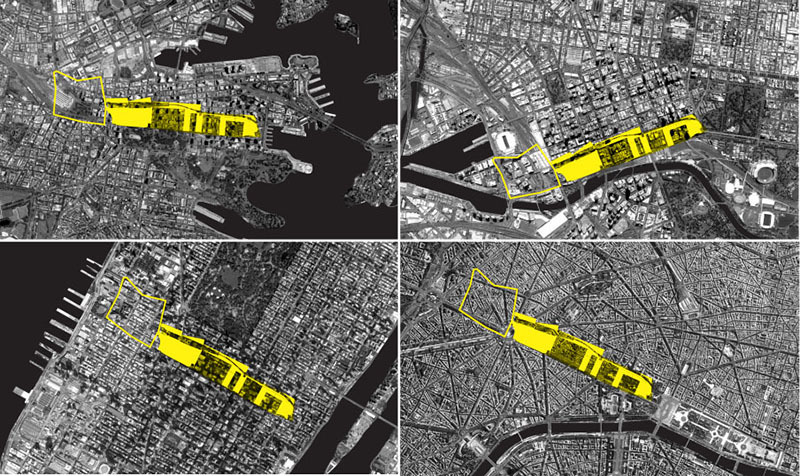 The proposal will demonstrate the potential of the precinct including urban form, character and public realm and include medium and high density housing as well as retail commercial, community and open space programs.